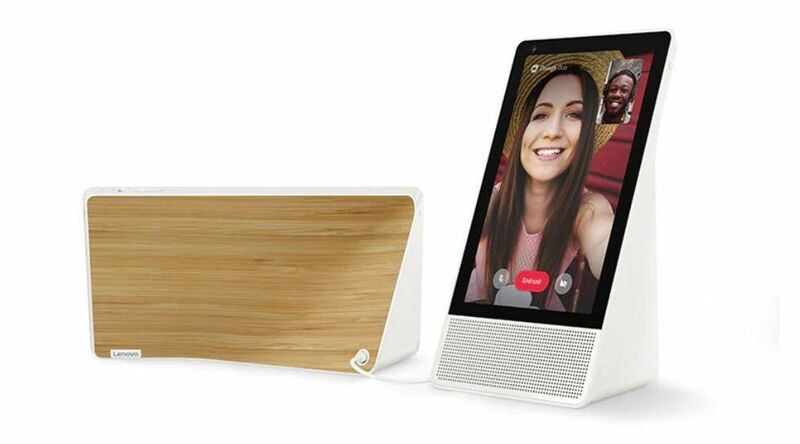 Just last month, we had reported that Google had been working on a new smart speaker in the lines of Amazon’s Echo Show and Lenovo’s Smart Display, with the USP being a 7-inch touchscreen mated to a reasonably large speaker. There wasn’t a lot to go by back then, besides the fact that suppliers in Taiwan were instructed to ramp up production of Google’s then unnamed smart speaker to meet the Christmas launch deadline. 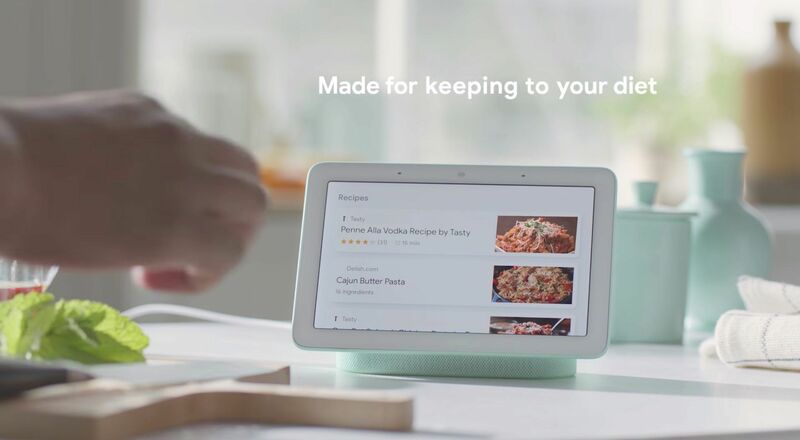 At the recently held Made By Google 2018 event, the search engine giant finally took the wraps off its latest smart speaker offering aptly called the Google Home Hub. As we had predicted earlier, the device comes with the Google Assistant baked in with a revamped user interface thanks to the 7-inch display at the forefront. Google Home Hub price in India is expected to be Rs. 11,000. 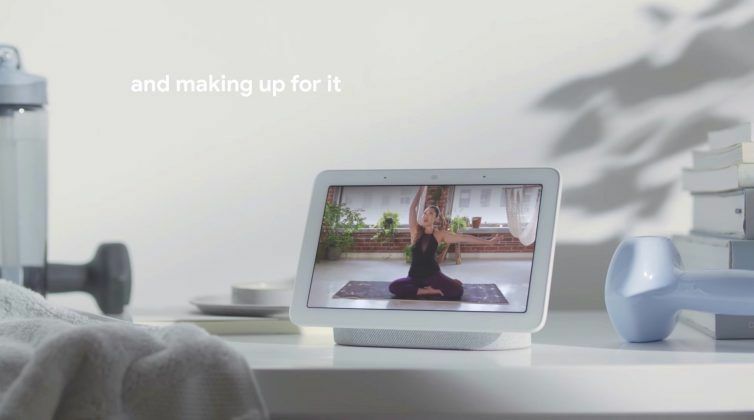 The Google Home Hub was launched on 9th October 2018. The Home Hub comes in multiple color options including Sand, Aqua, Chalk and Charcoal which are also priced the same. As of now, Google has only confirmed the pricing and availability of the Google Home Hub for the US, UK, and Australia. The device is already up for pre-orders with sales to commence from October 22. In the US, it will cost $149. Customers who purchase a Google Home Hub before December 31, 2018, will also be receiving a free six-month subscription to YouTube Music Premium. The great thing about using any Smart Home product from Google is its versatility. This stems from the platform’s compatibility with virtually all smart devices available in the market. The Google Home Hub not only brings the same level of support, but provides an intuitive touchscreen interface along with voice control. All your standard voice commands that work on the Google Home devices will work here, along with the added benefit of an LCD display. The feature list and navigation on the Google Home Hub has also been greatly improved compared to the existing Google Home offerings. You can swipe down from the main screen to bring up a list of all your connected devices. From here, you can access and control them without the need of dedicated apps. You can even trigger them with voice commands directly. Pairing the Google Home Hub with a Nest Cam, for example, can be used to improve security features easily with commands such as “Hey Google, show me the front door camera”. Such controls are not limited to security cameras and will work with other compatible home appliances such as lights, TVs and more. Furthermore, the Google Home Hub will allow access to Google Photos, which can be viewed by giving simple voice commands. An example Google provides for this interaction is with the phrase, “Hey Google, show me my photos from Hawaii.” Another feature called Live Albums allows users to create slideshows out of their Google Photos library. The product page also boasts of Google’s partnership with over 400 brands to offer compatibility with more than 5000 smart devices. The Home Hub has also been designed to function as the perfect companion in the kitchen. Since you have both voice and tap gestures, you don’t need to worry about smudging the display with something like cake frosting. On the other hand, the new speaker system is said to offer ‘crystal-clear’ and ‘room-filling’ sound. This will help you jam out to your favorite tunes which can be played from one of the many music streaming services the Home Hub has support for. YouTube Music, Spotify, Pandora, and iHeartRadio are some of the few that are supported. As for connectivity, the Google Home Hub will support both 2.4GHz and 5GHz Wi-Fi connection for what’s touted as high-performance streaming. The device also comes with support for a Bluetooth 5. It is compatible with Android, iOS, Mac, Windows and Chromebook. The device weighs in at 480g which is about the same as a standard Google Home unit. It will ship with a 15W power adapter which plugs into the device via a DC power jack located at the back of the speaker. 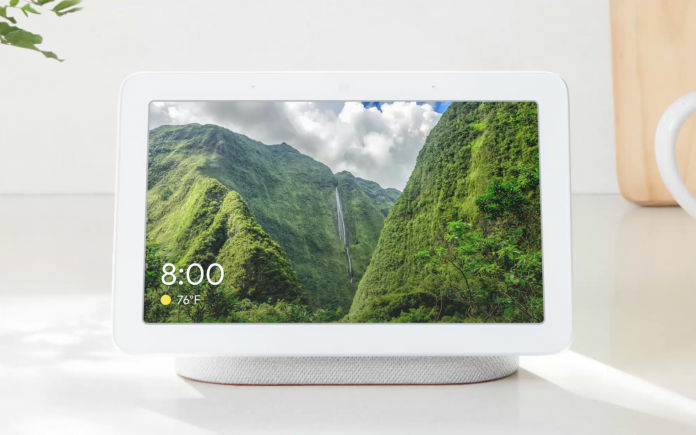 The physical outlook of the Google Home Max’s screen in its portrait orientation, with white borders and the illusion of being afloat is said to have been inspired by a photo album. The device itself was designed to fit seamlessly in any corner of your house. Its 7-inch screen is large enough to be spotted across the hall while still being small enough to not comprise the room’s decor. Behind this display, we have a large full-range speaker unit and a mute toggle. To further blend in with the room’s aesthetics, the Home Hub features an Ambient EQ light sensor which can adjust the display’s brightness according to surrounding light. Furthermore, the sensor is said to be capable of detecting over 16 million combinations of light and color. This helps in choosing the right wallpaper that compliments the surroundings. Just as we had noted when we presented exclusive renderings of the Google Home Hub prior to its launch, there is no camera present on this device. According to Google, this was a conscious decision and not an oversight. “We consciously decided to not include a camera on Google Home Hub so you feel comfortable placing it in the private spaces of your home, like the bedroom,” said Google Home Product Management VP, Diya Jolly. 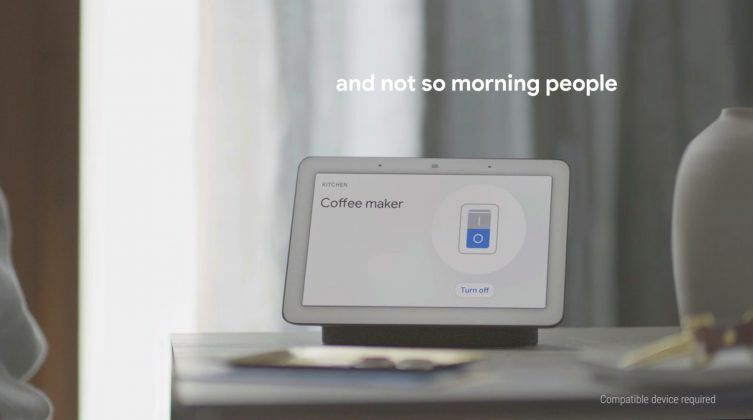 It so happens that the Google Home Hub is not the first display-equipped smart speaker that comes with Google Assistant baked in. The Lenovo Smart Display, which officially launched just a couple of months ago, has the honour of holding that title. There are two size variants of this speaker where its 8-inch model is priced at $199, while a 10-inch model costs $249. While the expected $149 price tag of the Google Home Hub might feel much cheaper, we do have to keep in mind that the latter’s screen measures just 7 inches and doesn’t seem to offer a webcam. Lenovo’s offering, on the other hand, comes with a 5MP wide-angle camera that supports 720p resolution video calls. 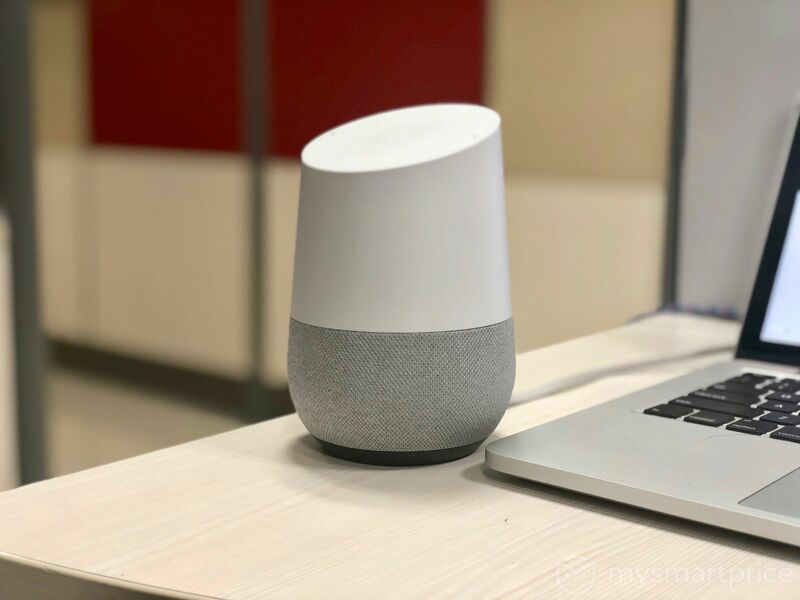 In our review of the Google Home, we noted how the smart speaker makes for an excellent companion to enhance your entertainment and productivity even with the limited resources and compatible services in India. Other than not having a perfectly balanced audio output, the device still functions as a decent standalone speaker. From what we have seen so far, the Home Hub greatly builds upon what was already possible on the Google Home. The inclusion of a display expands the possibilities to a much greater extent. Where the older speaker was limited to auditory responses, the new smart display-equipped device can further offer visual information. In a kitchen, for example, the Home Hub can show you a recipe and even play instructional videos. In the living room, the Home Hub can act as a smart picture album that cycles through your favorite images. All this while suiting your home’s decor no matter which color variant you choose. The Google Home Hub is simply a more interactive and versatile smart home utility when compared to the original Google Home. The few thousand rupees more it will cost to get the Home Hub will certainly be money well spent.